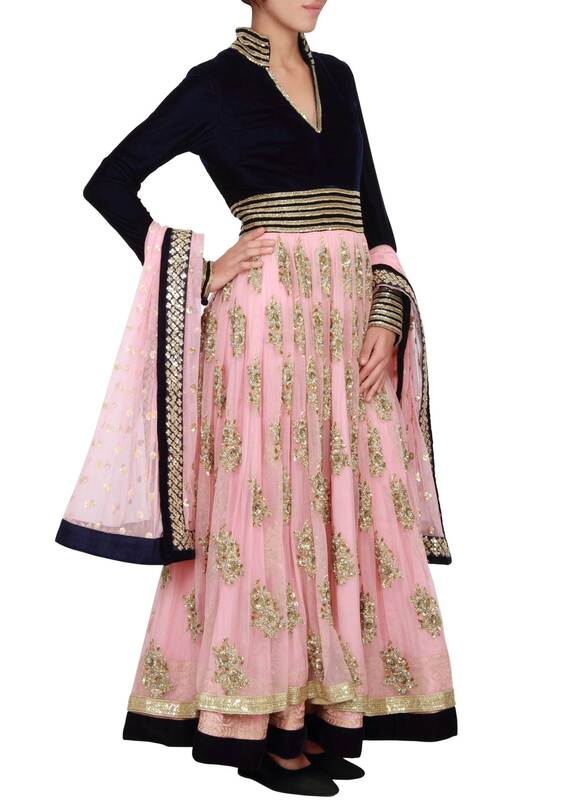 Featuring an anarkali with bodice in navy blue velvet embellsihed in zardosi and sequin. High neckline with sequin on the collar. The lower half in peach net with matching lining. Border in gold sequin work. Churidaar is in peach lycra net. 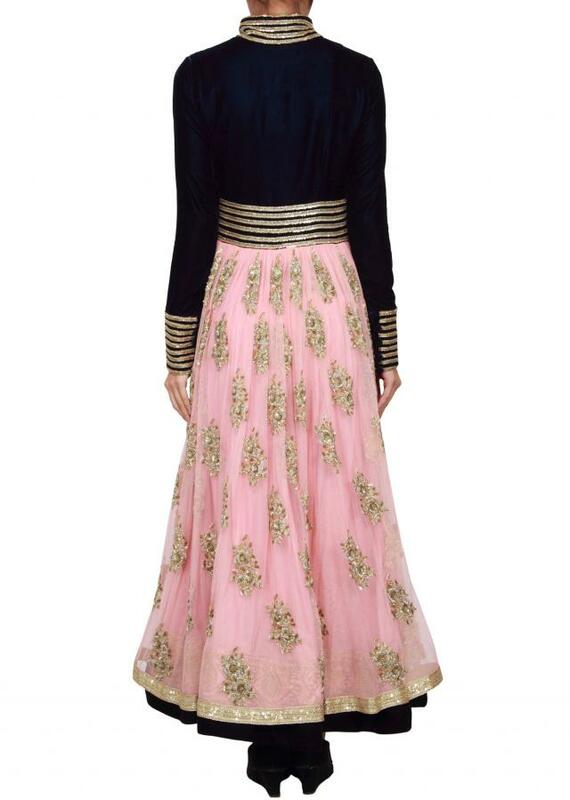 Dupatta in net peach with black velvet border and goold seuin embellishment.